The next part of my GUFF impressions – Weta workshop! I wrote a little bit about it before. As promised before I am sharing some pictures from my GUFF trip. In the post below you may see how I was enjoying my stay at Canberra Deep Space Communication Complex. I am back from my GUFF trip and it was such a great adventure. I kept writing my trip report while I was in Australia and New Zealand and it is so far around 25 pages long. Keep your fingers crossed as I should be able to publish it later this year or prepare it for Ytterbium next April. Anyway, I think some of you may be interested in what happened and here I want to describe the trip a little bit, hoping you still would be waiting for the report. As some of you know I was a GUFF delegate this year and I got the opportunity to visit a convention in Australia. The convention was Continuum 14: Conjugation that was held in Melbourne between 8th and 11th June. 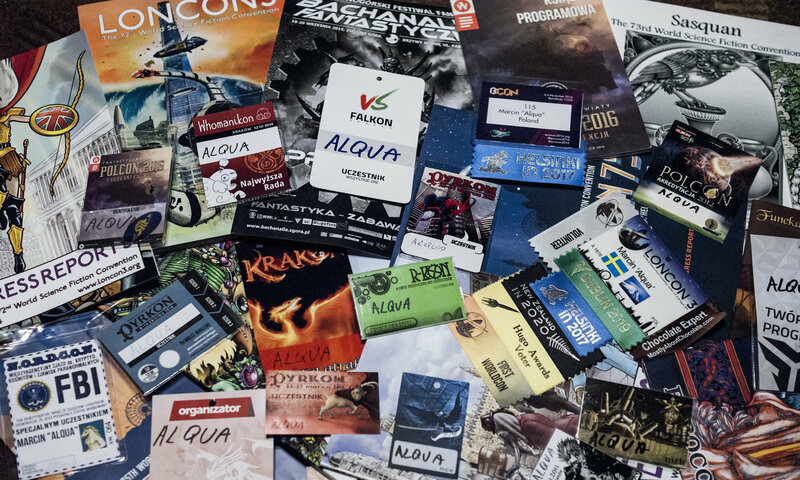 It was my first convention on the southern hemisphere and I was really interested in how similar/different it will be compared to all other cons I have visited.